Wawasee remained unbeaten on the young tennis season with a sweep at home Monday against the Cougars. The Warriors lost just three games in singles play and four in doubles play. Elizabeth Kleopfer pitched a shutout at No. 3 over Rachael Imhoff and Kendra Doerr at No. 1 dropped just one game in a one and love win over Alyson Robinson. Peyton Rookstool added a two and love win over Macy Griffis to close out the singles wins. Both Wawasee doubles teams won by 6-1, 6-1 scores. Kaitlin Graber and Molly Jones took care of Chasity Kissinger and Madi Walker while Abby Morehead and Tate Cowan took down Jaydyn Beck and Alea Hoover. Wawasee also swept all six of the JV courts, with wins from Valerie Haessig, Kaitlynn Jackson, Kelsey Harper and Katelyn Vetor in singles play and combos from Ava Harker and Becca Smith along with Casey Yankosky and Jada Carter in doubles. Wawasee (6-0) will take its unbeaten record into a home showdown with defending Northern Lakes Conference champion Concord on Tuesday. Triton picked up a nice road win, but at the expense of an injured Rochester player. Rochester had its No. 1 singles player go down with a knee injury, forcing a default, which played into the result. 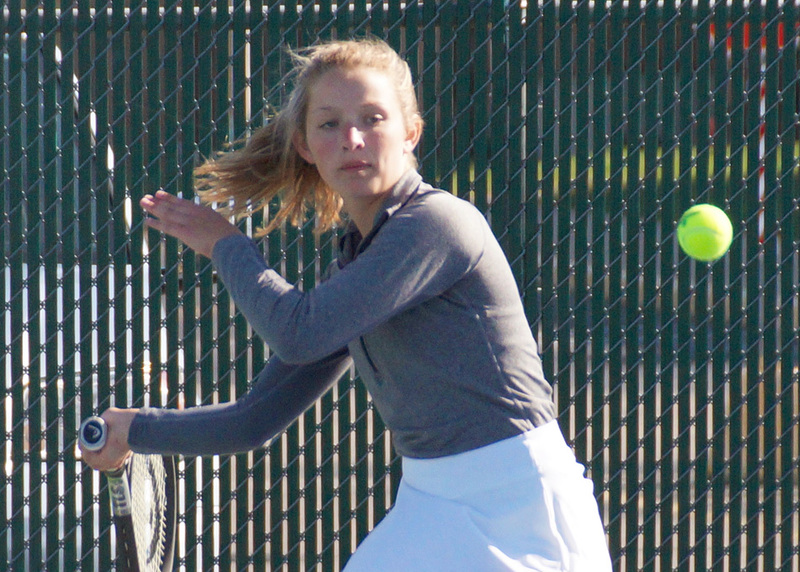 Molly McFarland was given the default win for Triton, and joined teammate Ivy Powell with singles wins. Emma Hepler and Lexia Hostrawser also won at No. 1 doubles in a three-set thriller to clinch the match. Rochester had Alivia Riegle win at No. 2 singles and Hannah Houston and Ryli Rouch win at No. 2 doubles. Triton (1-3) plays again Tuesday at Whitko.